From reception areas to huddle rooms, meeting rooms to boardrooms, our AV technicians have installed hundreds of projectors and screens in a wide variety of office settings. Our full range of expertise means that we won’t just install the projector and the projector screen. We’re also able to help out with your wireless presentation systems and audio so your meeting room is finished to the highest of standards and ready to go. 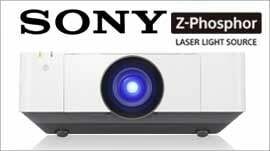 Take a look at our extensive range of office projectors. 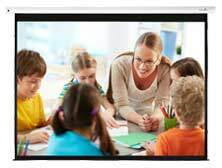 From dedicated short throw projectors for primary and secondary schools, to large venue projectors, our fully trained installation experts are the best in the game when it comes to installing classroom and education projectors, along with any additional associated AV kit. Even with all the complexities of interchangeable lenses and HDBaseT cabling in large venues and lecture theatres, the experts at Projectorpoint have the experience and skills to help you choose and install the right projector. Our AV technicians are fully qualified and trained when it comes to home cinema projector installations. Let us give you a hand with your installation to ensure you get the best possible experience from your home cinema projector. We offer professional installation support for your AV receiver, in-ceiling speakers, projection screen and, of course, your home cinema projector along with associated AV cabling. We’ll even stick around to give you an overview of the set up and how to use your new home cinema system. Unsure of the best cabling route or where to install your source equipment? No problem, our experienced AV technicians can advise on the best layout for your environment during a site survey or over the phone where possible. To arrange a survey of your space or discuss your installation requirements, simply give us a call on 0800 073 0833 or drop us an email.